It's the same as ever, even before the first pair of Wrangler jeans were made in 1943. Our history runs parallel to the rise of the country, our jeans are worn by the same people who built it. Women's Wrangler Ultimate Riding Jeans are denim jeans made with the horse rider in mind. Wrangler Jeans turned to actual female equestrians to fully embrace the freedom, independence, and beauty inherent to every cowgirl. Wrangler Jeans worked with the women of the AQHA to find out how denim jeans were important to women who ride every day. 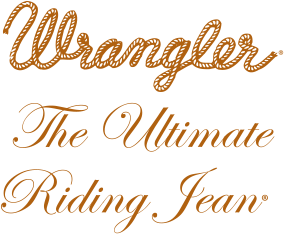 With this valuable information, Wrangler created a comfortable jean with flexible knees and a perfect rise for riding - Ultimate Riding Jeans are the perfect jean for the modern cowgirl!